I will make a orderform. My customers shall insert a file with their logotype, is that possible? Certainly. Your customers can upload files on an order form. 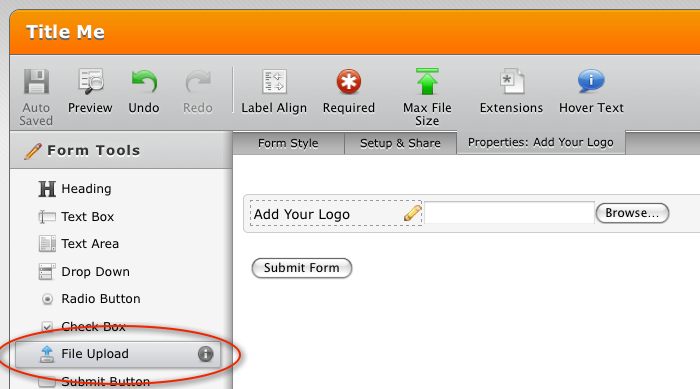 Simply add "Upload File" question to your form.